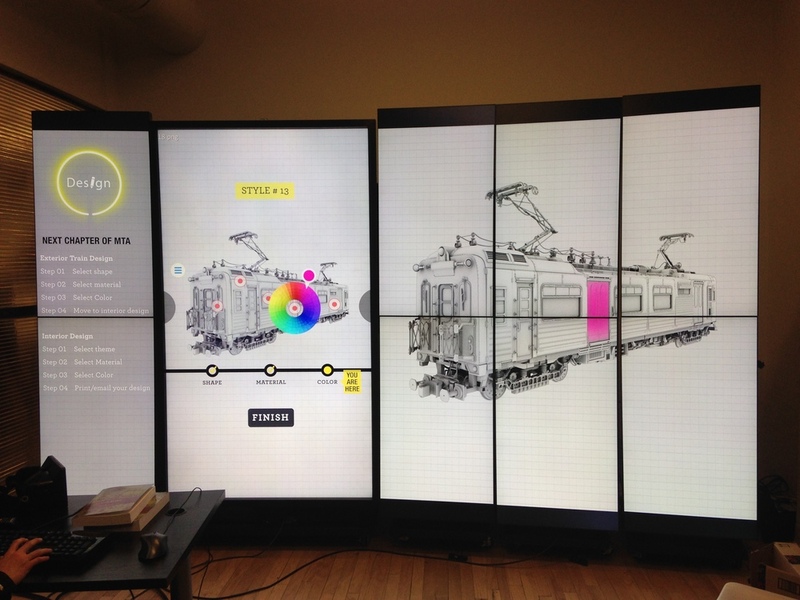 Our group visited New York Transit Museum for Design in Public Spaces class. We decided to create an interactive in-museum experience CenterStage, an super high definition platform featuring a 85in 4K multi-touch screen and 8 other hi-res screens. Photo was taken in New York Transit Museum. 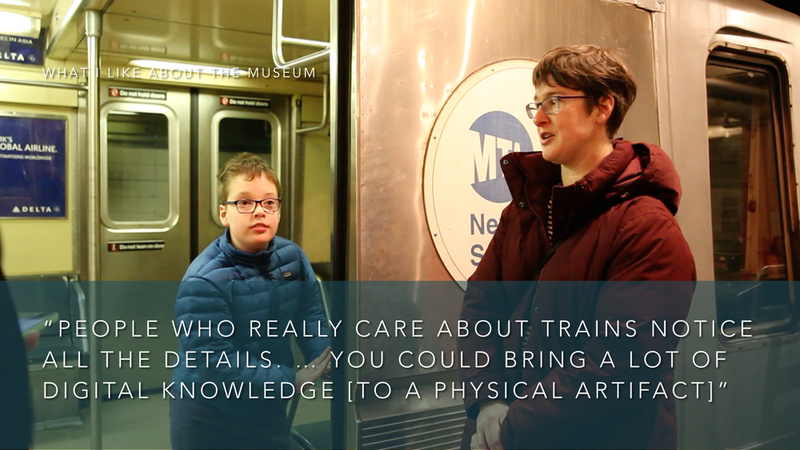 We did some interviews in New York Transit Museum. 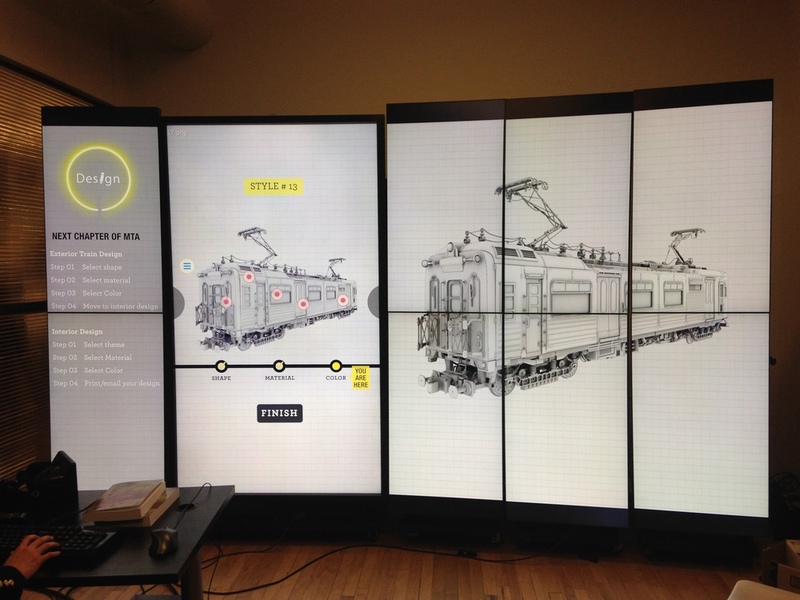 At the museum, visitors get to experience the history of the subway system and the train. However, there is no expression of the future, only the past. 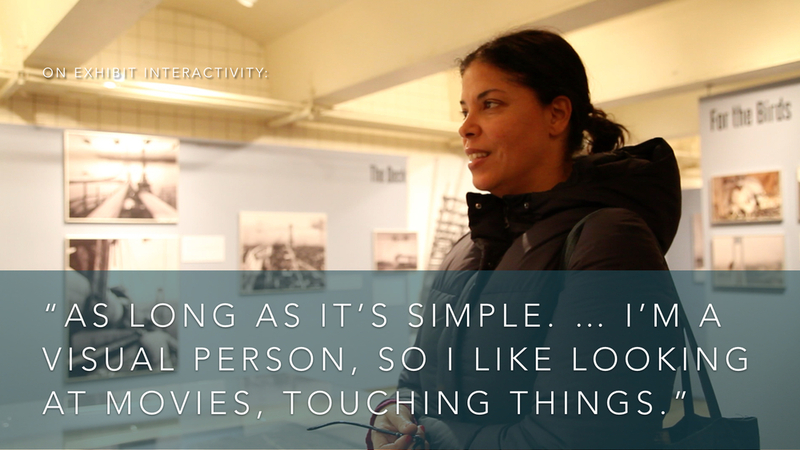 Moreover, though there are interactive exhibits, none of them involve the visitor in shaping what the future of the MTA is. 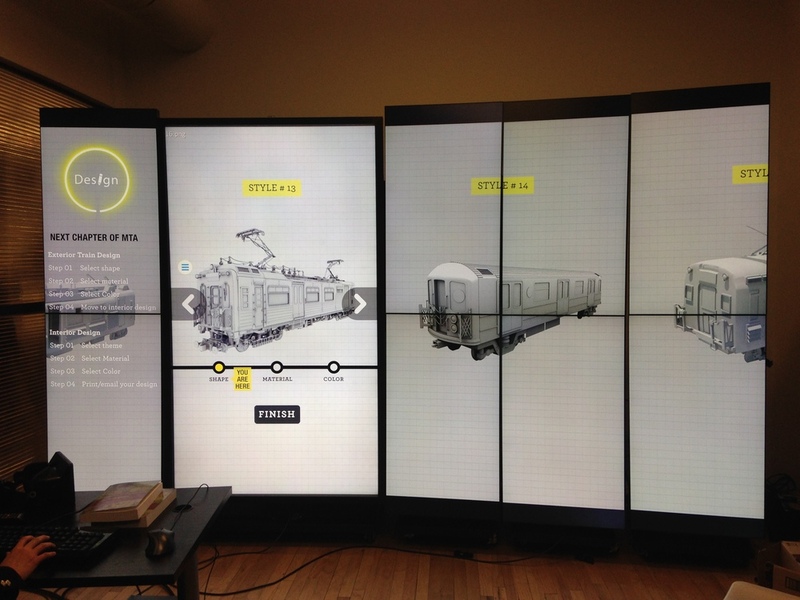 Our exhibit, “MTA 2040,” puts the user at the center of the future subway experience. They can design their own train of the future, customized with the features they like, and keep a poster or a paper model as a memento or order a special die-cast collectible to be delivered to their home. Welcome Page which shows explore and design menu. Background is a moving subway. The subway slow down to stop when visitor stops in front of the screen. Click menu icon to show submenu. Shows 'Tap to expand'. Shows 'Click and drag to move it around'. Choose different kind of subway's model. Start to design the subway. Choose which part you want to change color. Click different parts inside subway to change color. It show the finished product model, when visitor finished designing the subway. Visitor also can choose 3d print it out or just email that to keep the picture.